Update. this club is now named HIDEOUT. Hideout is a clubbing concept by the people behind BigFish, the party organization that has brought some of the world’s best EDM DJs to Manila. 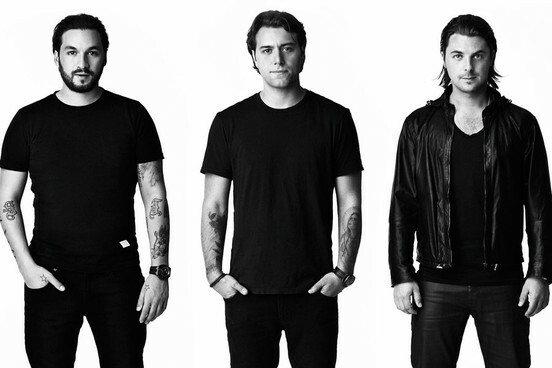 The club focuses mainly on quality electronic dance music (house, trance, club etc). 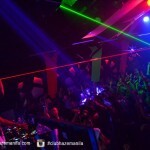 They also play host to various international Djs every week–Fridays and Saturdays! 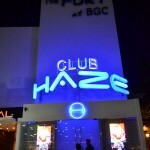 Hideout Manila is located on the Fort Strip in Bonifacio Global City, Taguig (next to Draft and Imperial). 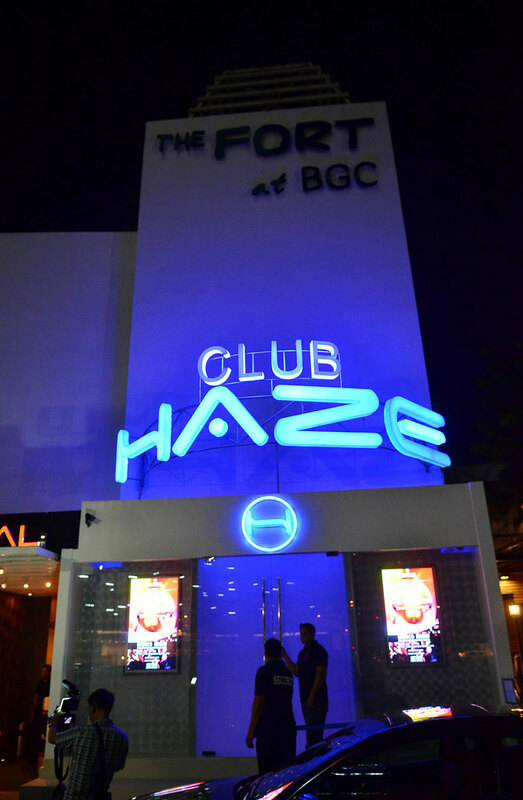 Haze features a state of the art sound system as well as great lighting and visual shows. 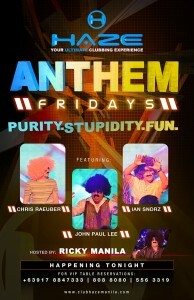 This is the club’s official ladies’ night (ladies don’t need to pay door charge, plus they get one drink on the house). 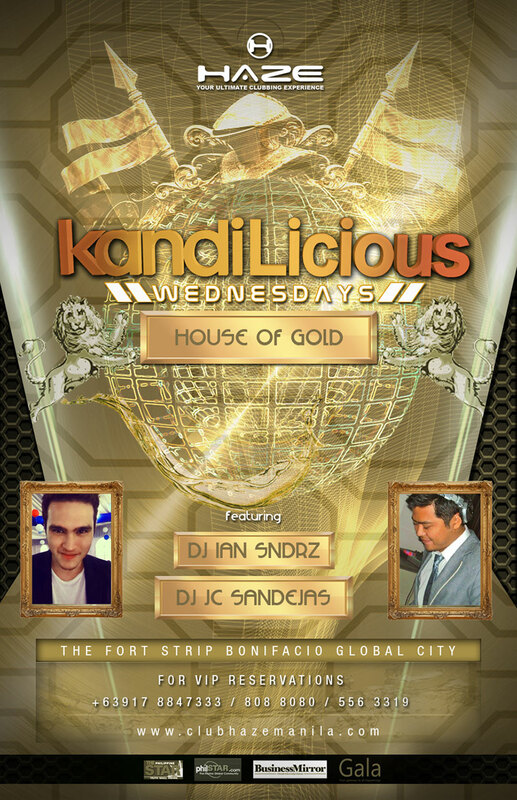 The club is outfitted with gold decor to complete the night’s House of Gold theme. DRINK PROMO: Buy 1 BOTTLE, get the next one 50% off. 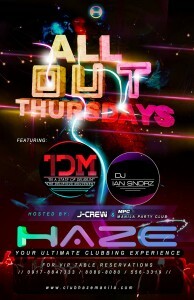 On this night, partygoers are encouraged to wear neon clothing, as the club is outfitted with neon decor, and all black lights are turned on. 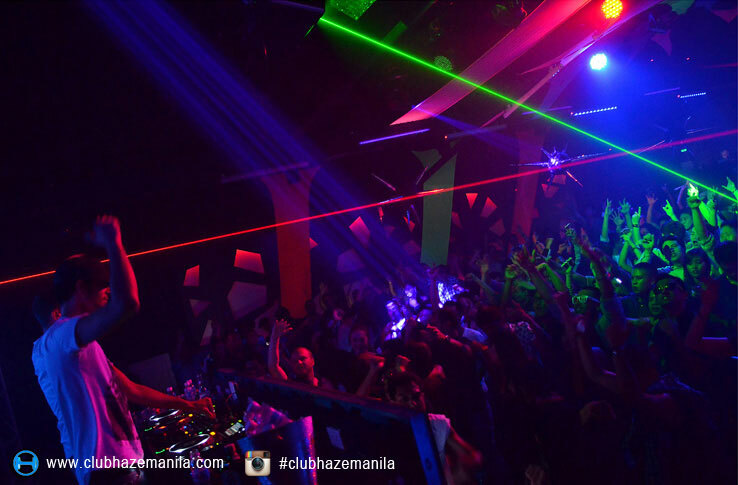 The goal of the night is to glow on the dance floor & go all out! 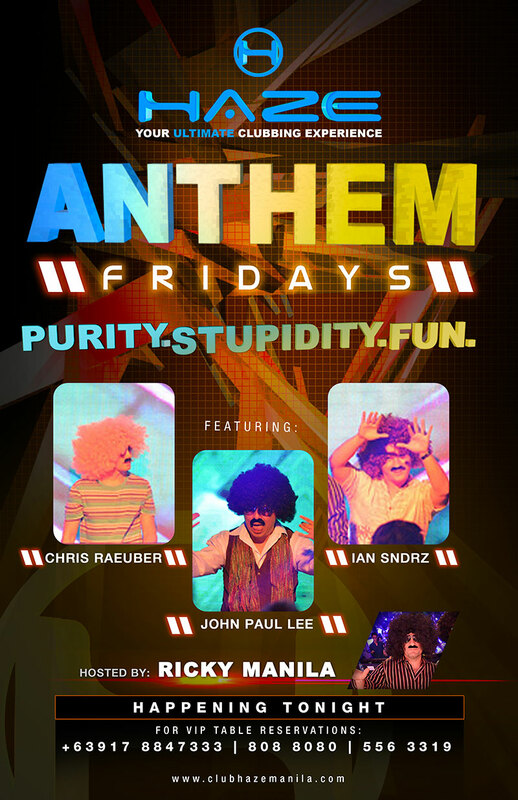 Fridays – Anthem Fridays: Purity, Stupidity, Ultimate Fun! This is the perfect night to lose yourself! Every Friday is a different theme; expect a fun ‘show’ of sorts, where the night’s DJs and Host MC dress-up and entertain the crowd—all while spinning the hottest dance anthems of the last decade! Saturdays are reserved for pure and quality EDM, spun by world-class DJs, in the style that has become the reason Hideout Club is considered the home of EDM in Manila! For more info, reservations, guest list and VIP table bookings call 808-8080 / 556-3319 /09179318444 / 0927968433. 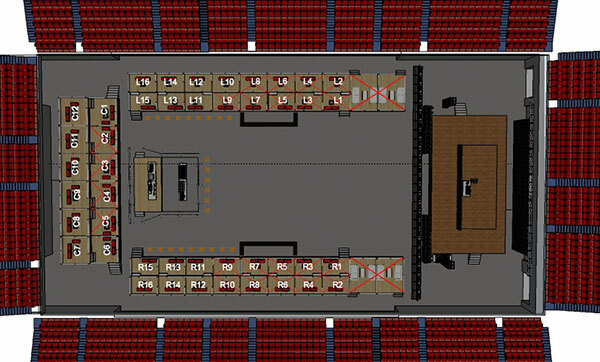 Below you can find the Hideout table layout. 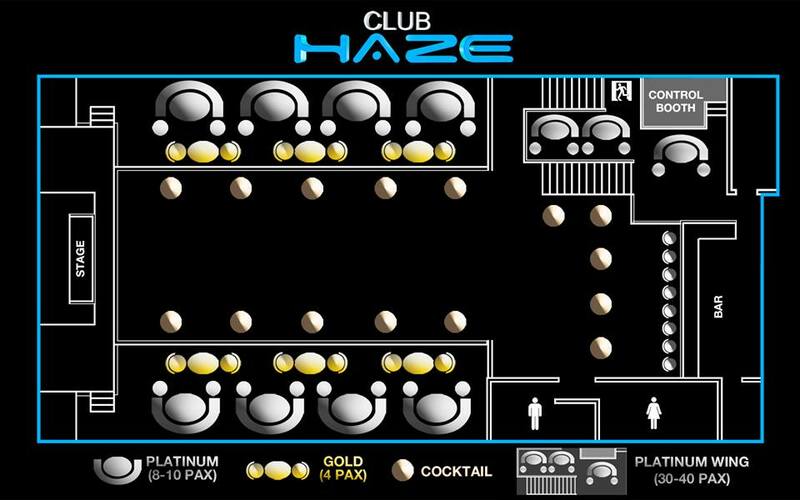 Club Hideout Table Layout. Click image for full size. 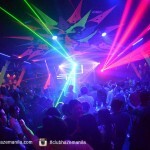 The event is co-organized with Republiq Club, Driven Manila, Ovation Productions, ETC and World Wide Womb. Tickets will go on sale on November 15. 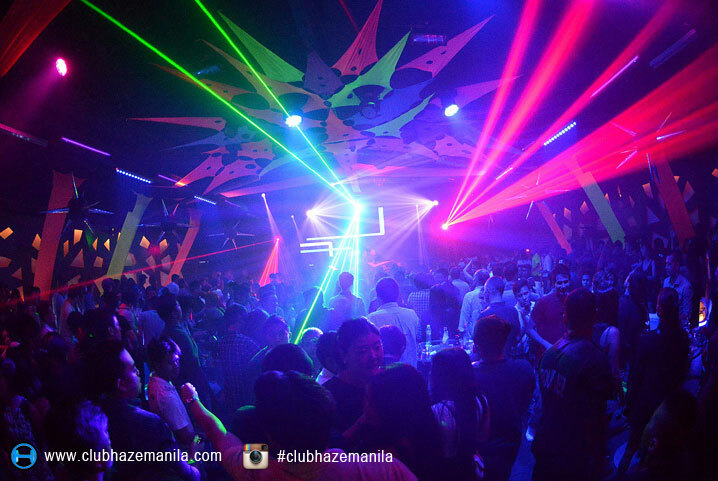 Tables can be booked trough Republiq Club. 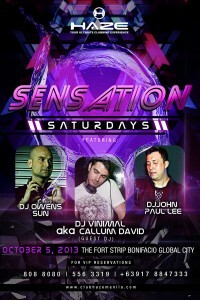 The opening DJ will be DJ Quintino, who will also play at the after party in Republiq Club. Tickets start at Php 4,760 (Lower box B). 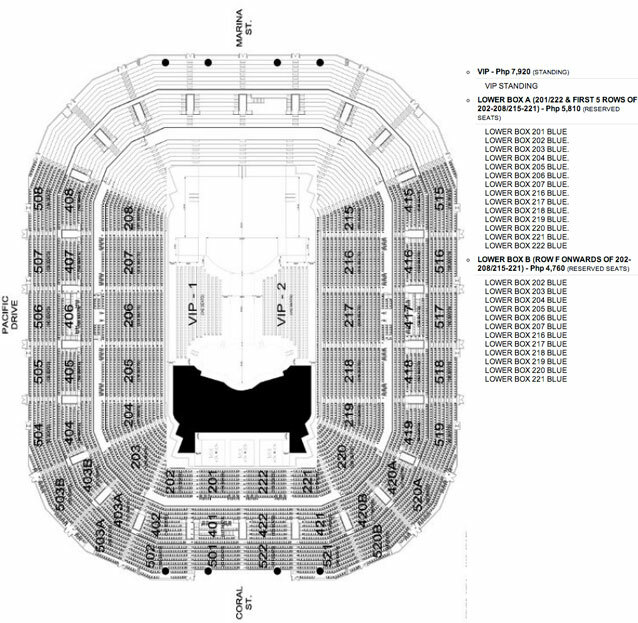 For lower box A seated tickets are 5,810. Standing tickets are 7,920 (which are called VIP tickets). VIP tables are sold trough Republiq Club. 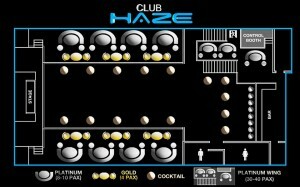 Below you can find the VIP Table floor plan.